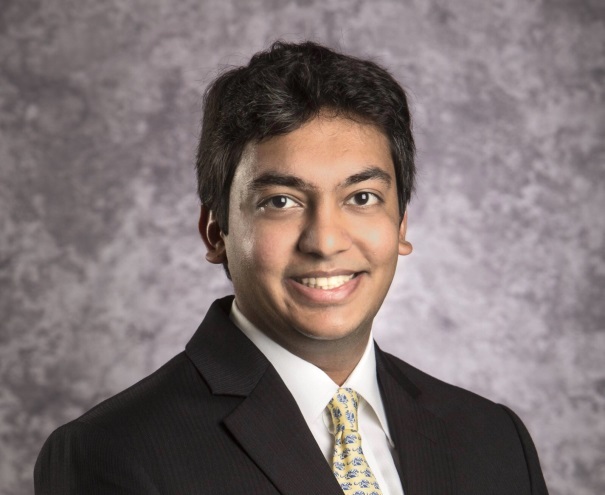 Rohan is the leader of our chapter at Washington University in St. Louis’ Olin Business School; he recently attended our 2017 Leadership Retreat. In 2016, he helped found Incellab, LLC—a biotechnology firm that seeks to target, reveal, and treat aggressive brain cancers. Prior to pursuing his MBA, Rohan spent a few years in finance. He is proud to serve as a chapter leader at Smith Soc Olin. Rohan graduated from Middlebury College in 2009 with a B.A. in Economics and a minor in History. I am an armchair physicist. Quantum physics, in particular, fascinates me and I try to keep up with the latest discoveries. I read a lot. I am a news junkie. I use news aggregators and social media (think Google news, LinkedIn, Facebook, Flipboard, Pocket) as my primary information gatekeepers. This approach has its advantages (leverages the power of the crowd) as well as disadvantages (beware of context bubbles.) I remain partial to The Economist. Being a member of the Adam Smith Society has been a fantastic experience. It is a great platform to interact and network with likeminded free market thinkers. The National Meeting is an experience not to be missed.